Minister Hotel Guest Room Leather Folders. 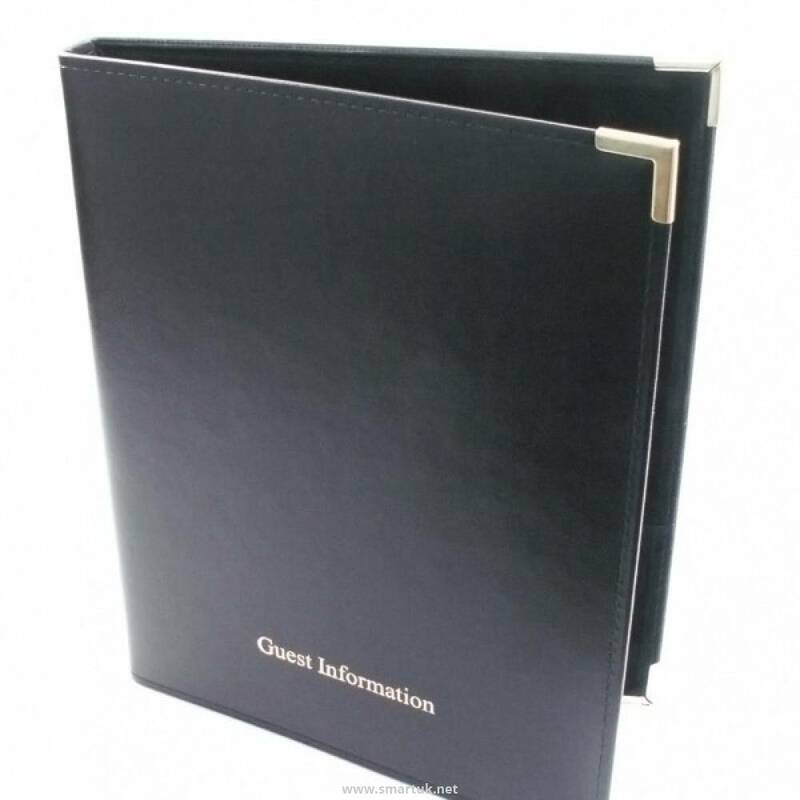 This hotel room folder is a sturdy leather guest room folder, available in 3 different styles, providing you with more options and originality in leather folders. 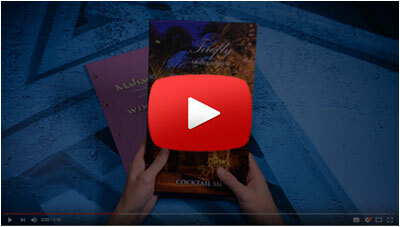 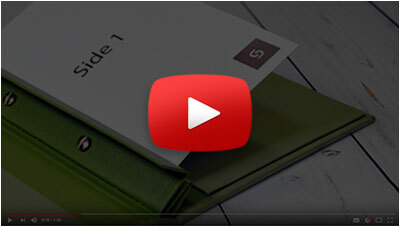 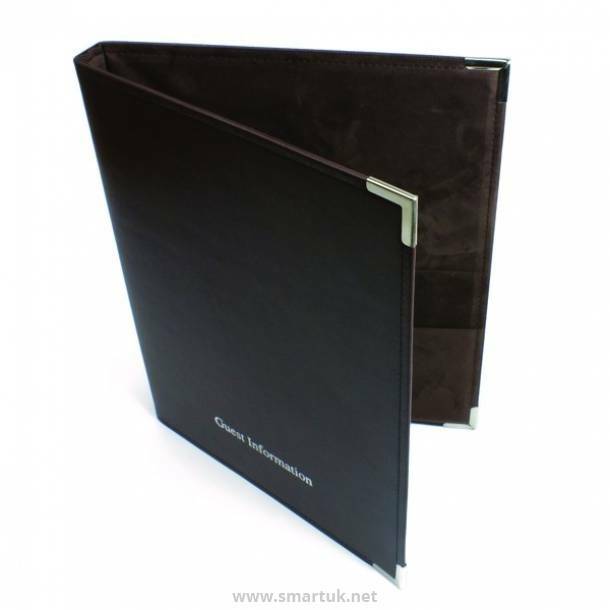 Leather folders are a high quality compendium product that will last for years to come. 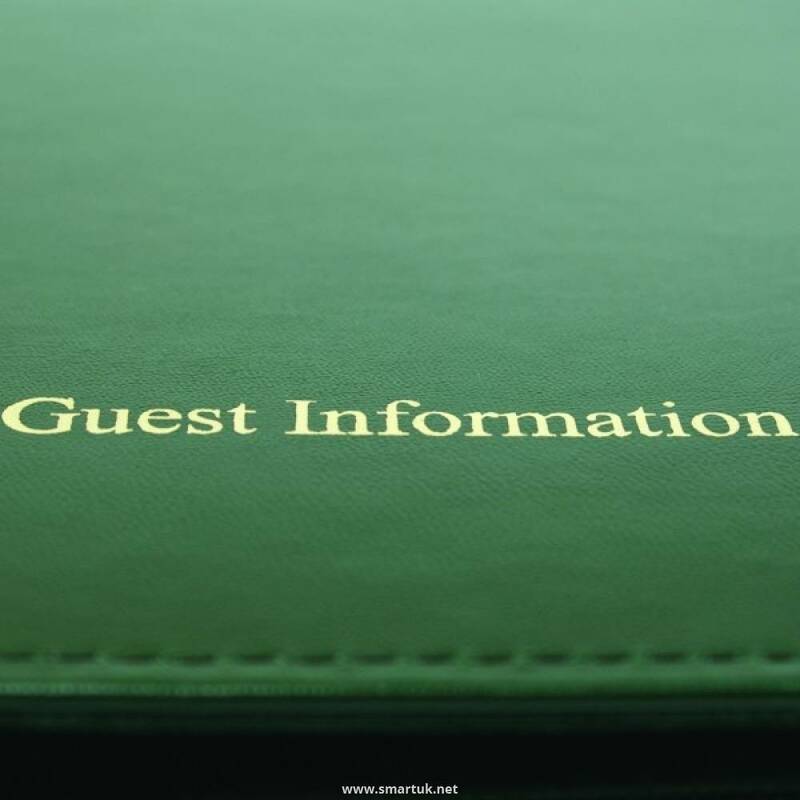 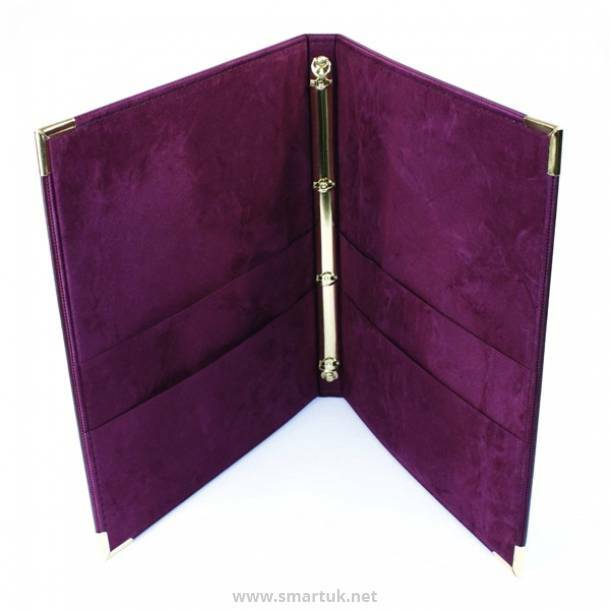 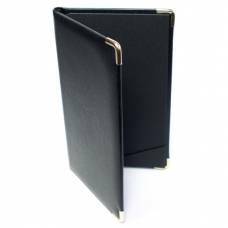 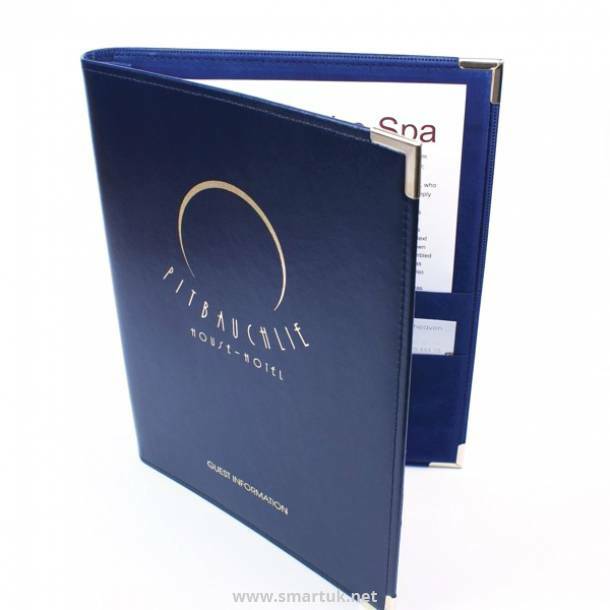 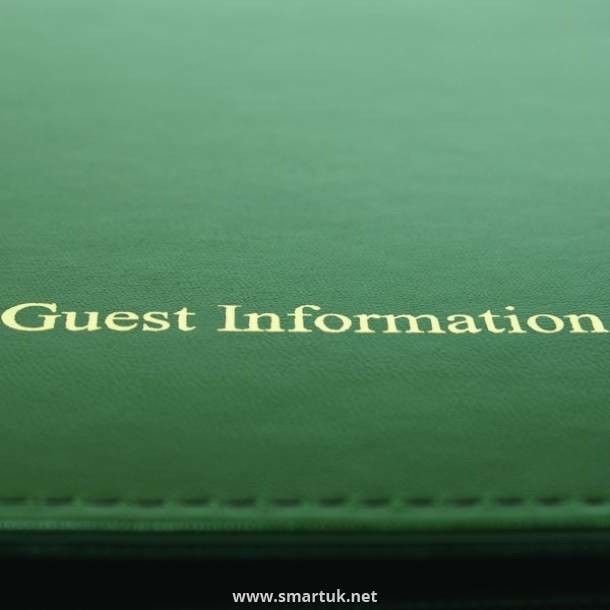 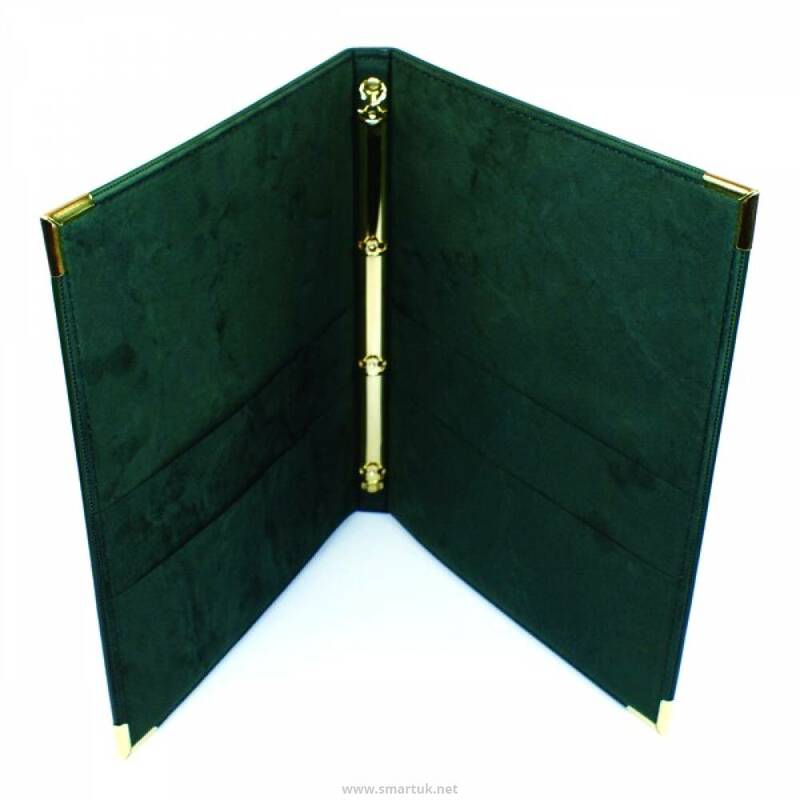 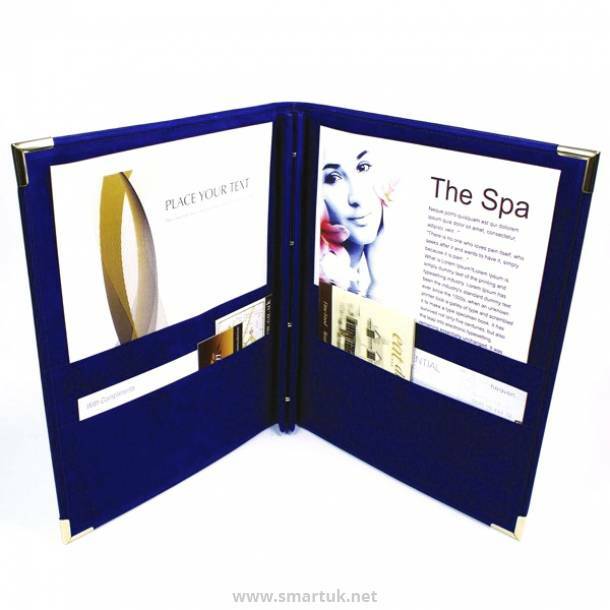 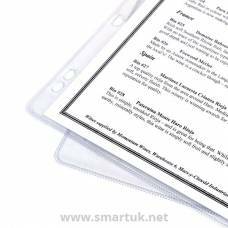 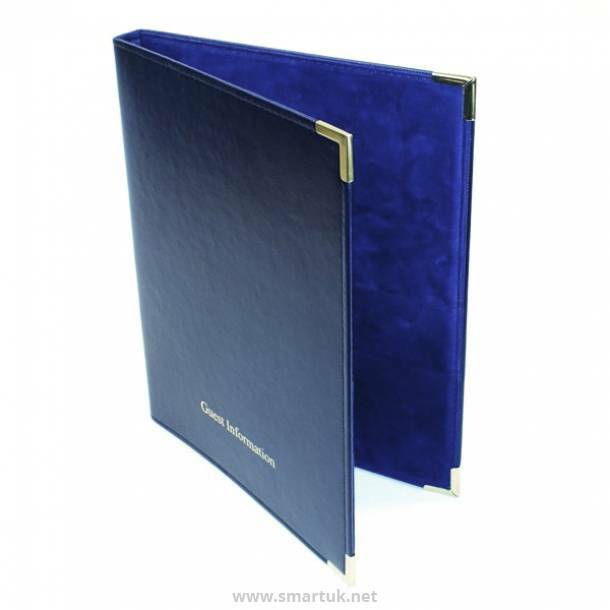 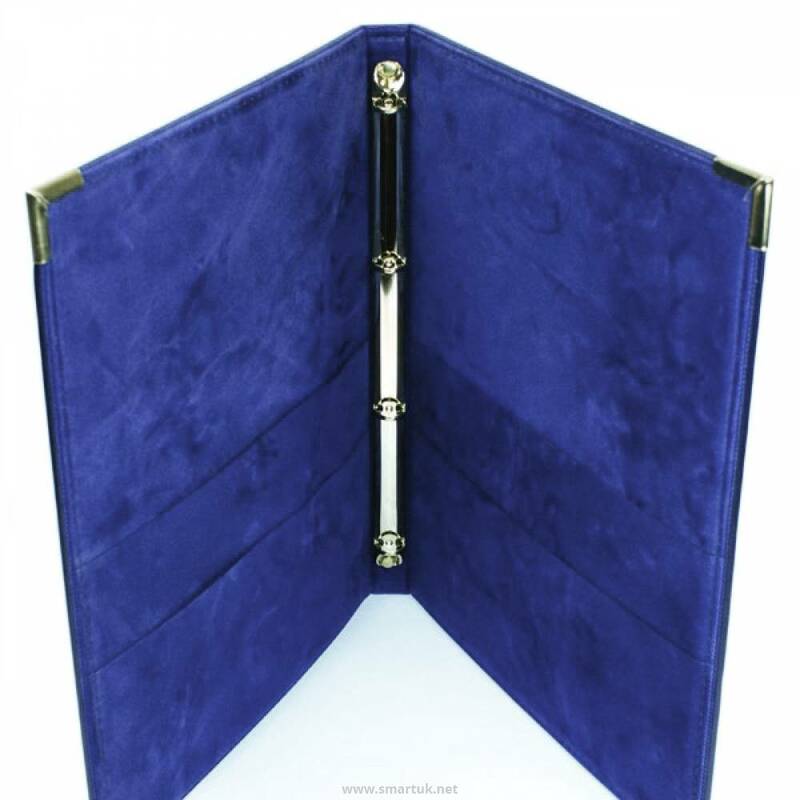 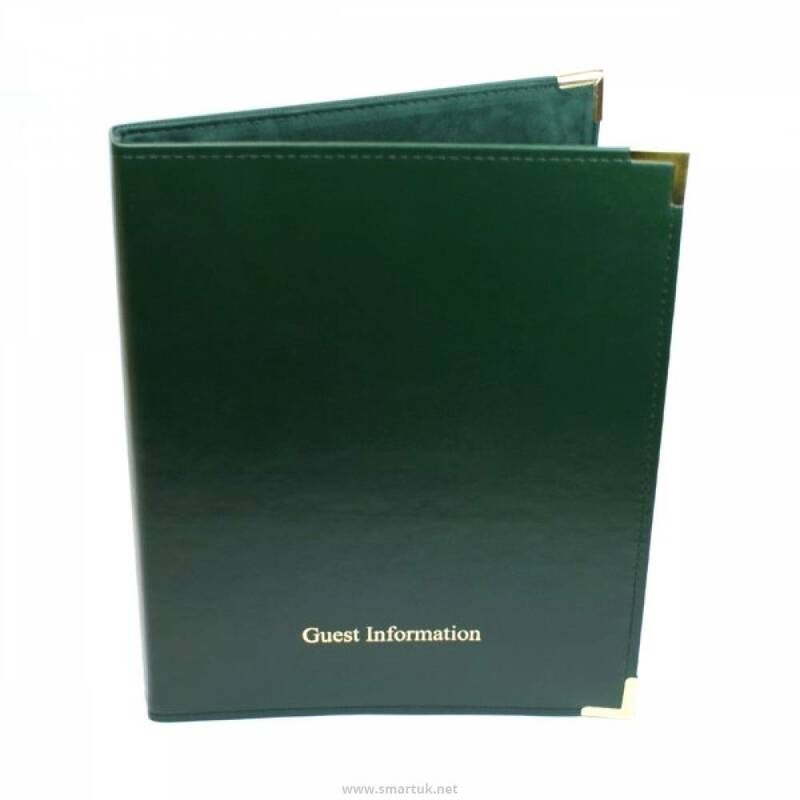 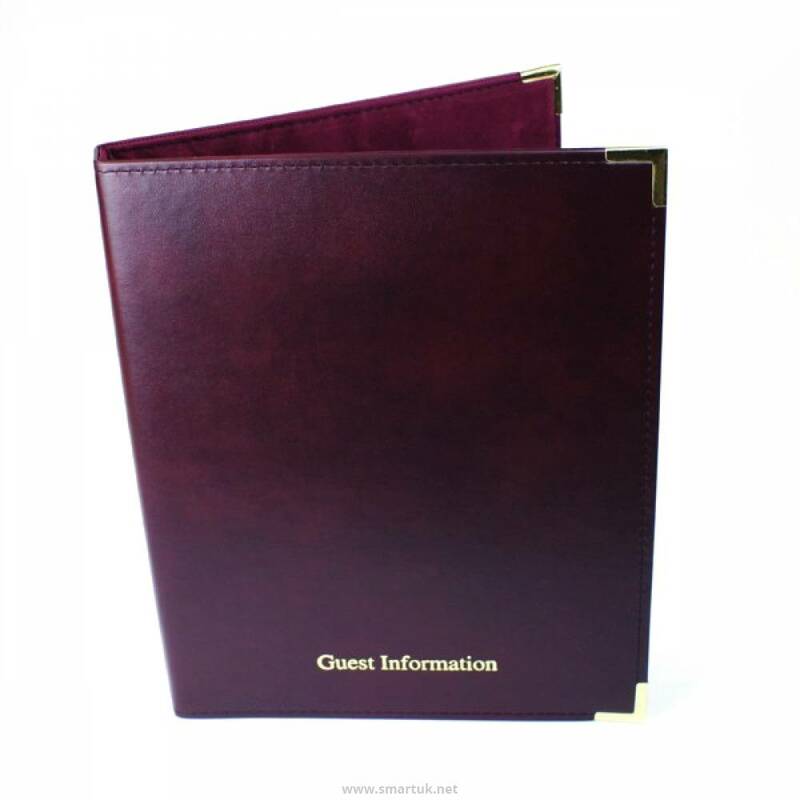 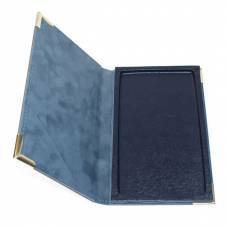 This beautiful guest information folder has a high quality turned and stitched outer cover. 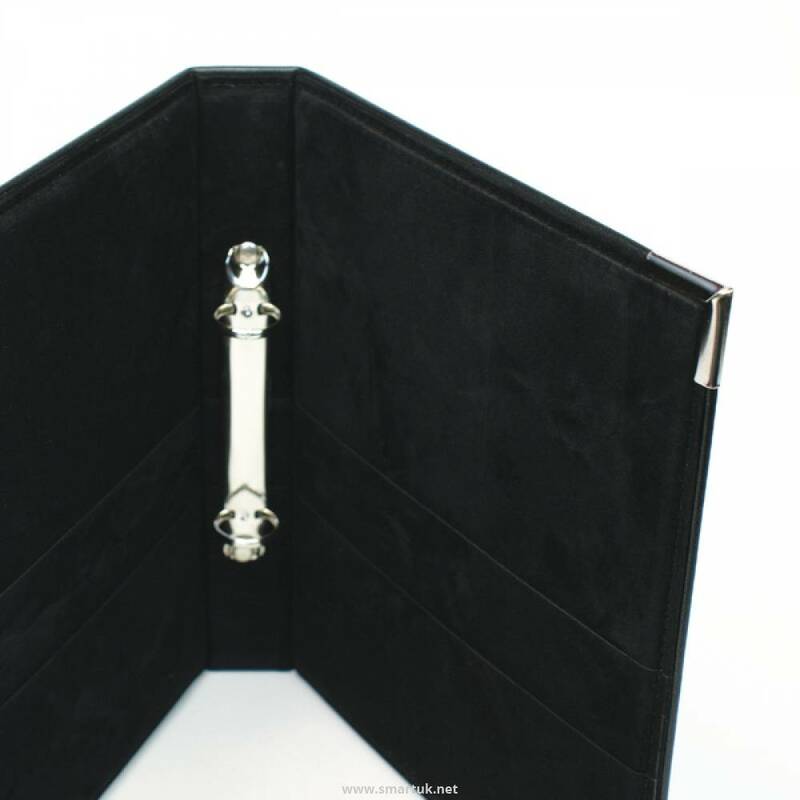 The Minister guest room folder includes two horizontal pockets of suedel to the inside front and back cover, for extra luxury. 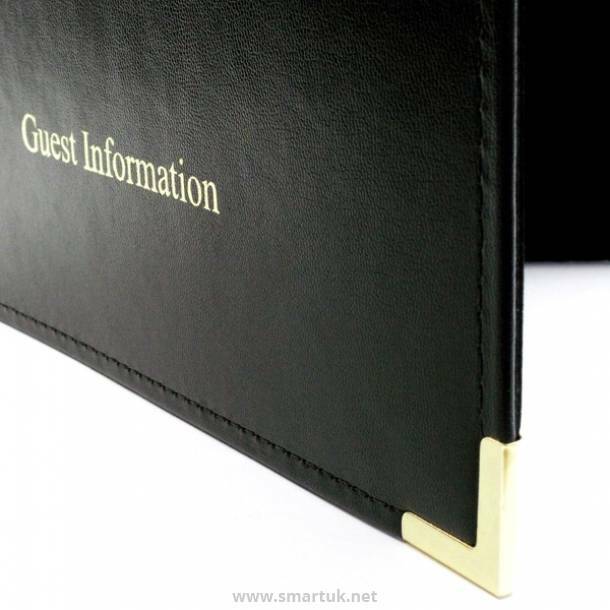 Gold or silver corners are available as an option with this guest room folder, but are not compulsory. 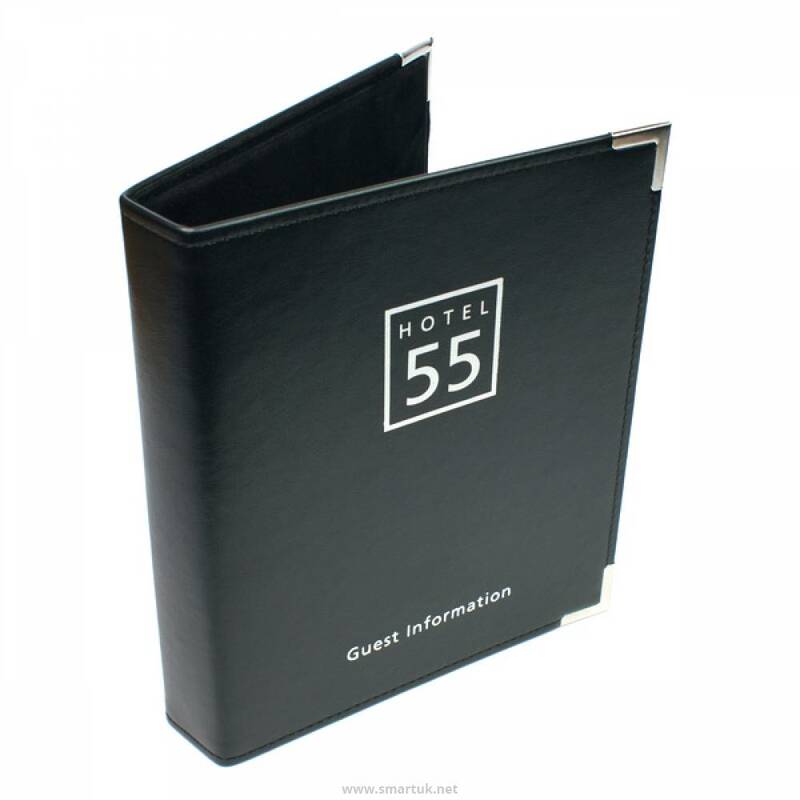 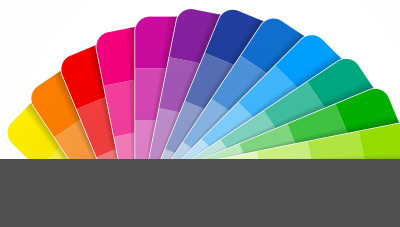 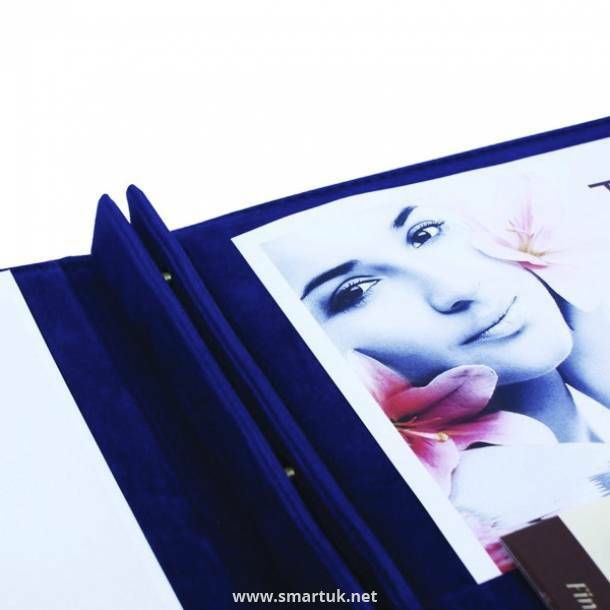 This style of hotel guest room folder can be personlised in a number of ways such as foiling and embossing; our in-house graphic design studio can assist you in designing the perfect hotel room folder for your venue.